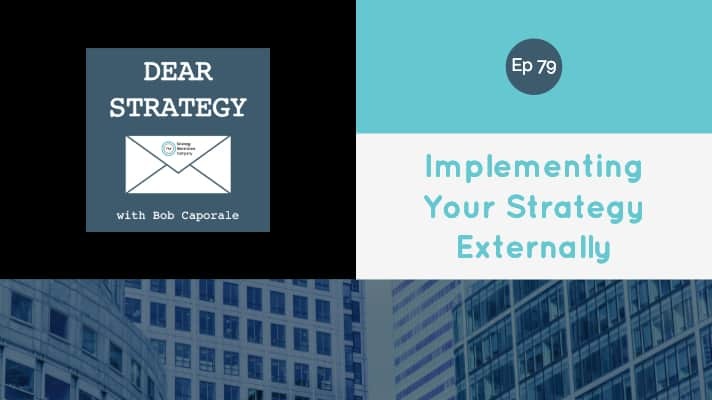 Last week, in Episode 78, I answered a question that had to do with implementing strategies internal to your company (i.e. 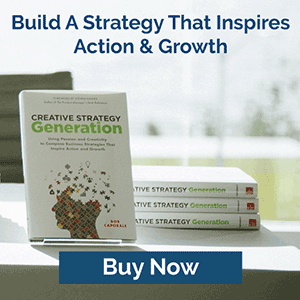 turning your strategy into programs, projects, and products). 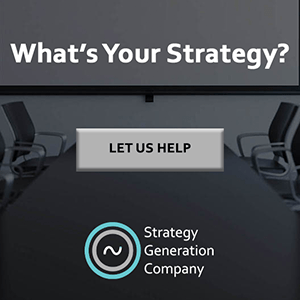 This week’s question is a bit broader in context, but, because I’ve already covered the internal element, I’m going to focus my answer this week on the external part of strategic implementation. Most strategies, by their very nature, tend to be designed with the intention of doing something that isn’t currently being done. Sometimes that involves doing something that you’re not currently doing, and sometimes that involves doing something that’s not being done period. Either way, it’s not hard to believe that putting your plan down on paper is going to be a heck of a lot easier than turning that plan into a reality. So, when we talk about best practices to implement your strategy, we have to talk about breaking down whatever barriers might exist so that you can take your plan from paper to actual pursuit. Barriers come in many shapes, forms, and sizes. Last week, we talked about some of the barriers that might exist inside your company in the form of time, money, and resources. To summarize, if you don’t realistically account for your required investments at the time of planning, then those resources are not likely going to be available to you when it comes time to execute your plan. But these internal barriers are far from the only ones you’re going to encounter when it comes to implementing your strategy. 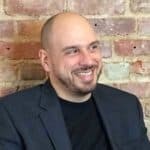 There are also going to be plenty of external barriers to contend with as well, and these will happen along just about every step of your journey and in just about every way imaginable. And the trick to dealing with these hurdles is to try to focus on your end goal rather than focusing on all the things that are likely to get in your way. It’s almost become cliché to mention the name Steve Jobs in relation to being innovative. But, in this case, I think he is a fine example of a person who focused only on the things he wanted to achieve and not on all the reasons he might not be able to achieve them. He had a grand plan (several of them, in fact) and, when individual barriers got in the way, he was somehow able to plow through them in favor of some larger over-arching vision. Does that mean he was able to directly overcome every single issue that he ever faced? Not likely. But he certainly didn’t seem to let any of those challenges prevent him from achieving his overall goals. Much of this, I believe, has to do with mindset. On the corresponding podcast episode for this post, I referenced an interview that Joe Rogan did with Elon Musk on Episode #1169 of his popular podcast. At one point, the discussion turns to Musk’s plan to build tunnels under Los Angeles in order to help alleviate the growing traffic problem. The initial plan was to dig an experimental tunnel originating from the parking lot of the SpaceX headquarters. During the discussion, Joe Rogan asks, “So, when you have this idea, who do you bring this to?” After a few seconds of uncomfortable silence, Musk’s response was essentially that he didn’t understand the question. Now, it may be that he truly didn’t understand the way in which the question was being asked. But I can tell you that I knew exactly what that question meant, mostly because it’s all I would have been thinking about before ever attempting a project of this magnitude. Surely someone is going to prevent me from doing this. Surely something is going to get in my way. And that exact mindset is why someone like me would never even dream of attempting a project like this in the first place. But Musk’s brain didn’t seem to be wired that way. After further clarification of the question, he goes on to say that he simply got a permit to dig a big hole in the ground because, as he put it, “people dig holes in the ground all the time.” And that was that. Of course, I don’t mean to overanalyze what may or may not have been inside of Mr. Musk’s head at the time. And, since I don’t know the man personally, I invite you to listen to the podcast yourself and interpret his responses however you see fit. You can find the episode by clicking HERE, and that part of the conversation happens somewhere around the 10-minute mark. Be sure to listen at least through the 16-minute mark to get the full effect of the discussion. (By the way, if you’re interested in the topic of innovation, I highly recommend listening to the rest of the episode as well). All I know is, if that were me, I would have been anticipating every permit and every permission that might be needed along every step of the way. I would have been thinking about every little thing that could go wrong and how much it would cost me if it did. And in thinking about all of those barriers, I would have almost certainly convinced myself that digging a tunnel under Los Angeles is an impossible strategy. And that’s the way I think that most of us are probably wired. So, does that mean everyone should be like Elon Musk? Not realistically, no. However, I can’t tell you how many times I’ve seen companies with really great strategies that never get off the ground because, like me, they become too fearful of everything that could possibly go wrong. Sure, they may rationalize their inaction through fancy risk management equations. But the end result is that, while those companies are staying busy maintaining the status quo, someone on Kickstarter is getting ready to break down all the barriers and truly change the world. So, my answer to the question of implementing your strategy externally is to try and focus on the goals rather than on the hurdles. Yes, find a tolerance for risk that is comfortable for you and, no, don’t be overly reckless (especially when you’re dealing with other people’s money). But if you focus too intently on your own fear, I guarantee you can talk yourself out of just about anything – including the strategy that you thought about implementing, but that someone else actually had the guts to carry out. So, stay focused on the bigger picture, and don’t try to account for every single outcome of every single tactic within the context of that bigger plan. Because, if you do, your strategy is going to turn into nothing more than a safety net; or, worse, a dream that has no chance of every coming true.